Welcome to Hanoi, our guide will pick you up at Noi Bai International Airport (HAN), transfer to Hanoi City Center. Enjoy Hanoi city tour including of 36 Hanoi Old Quarters, Hoan Kiem Lake, One Pillar Pagoda, Tran Quoc Temple, Temple of Literature. Free at leisure until time transfer to the train station to take the night train to Lao Cai. Overnight on the train. Arrival at Lao Cai around 06:00, transfer to Sapa, an ideal destination for those who like to go hiking in the heart of nature and who wish to discover the manners and customs of the minorities. Discover the villages of Ta Van (where you can see rock carvings) and Lao Chai Village. Walk and meet the families of minorities who live in wooden houses. Back to Sapa for the walking tour in the city, visit Sapa market, the church in stone. Overnight at the hotel in Sapa. 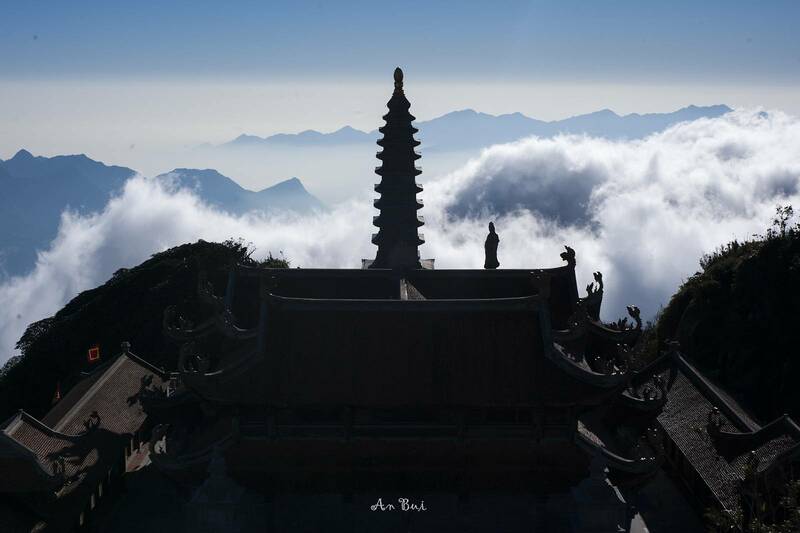 Enjoy full day tour to visit the highest mountain of Indochina Fansipan Mountain at 3,143 metres by cable car. Free at leisure until time to return to Lao Cai. Free at leisure at border gate between Vietnam and China, transfer to Lao Cai Station for the overnight train to Hanoi. Overnight on the train. We will arrive Hanoi Train Station around 05:30 AM. Our driver will pick you up at the station, transfer to the restaurant in Hanoi for breakfast and refreshment. Around 7:30 AM our driver will pick you up at your hotel lobby proceed to Ha Long by public transportation of the cruise – bus. Embark on a cruise in Ha Long bay, a UNESCO World Heritage Site since 1994. Stop in one of the natural cave Sung Sot to visit and admire Ha Long Bay with the grand view. Relax on the beach of Ti Top Island on Ha Long Bay. Enjoy lunch and dinner of seafood on board. Overnight on board in Ha Long Bay. Morning cruising in Ha Long Bay. Enjoy the interesting activities onboard in Ha Long Bay including of Cave exploration, Bamboo boat ride, Swimming, Spa massages (with surcharge), Cooking demonstration, Cooking class, Watching Vietnamese cultural films, Music entertainment, Squid fishing, Tai Chi. After brunch meal on board, back to Hanoi in the afternoon, transfer to your hotel for your next destination.